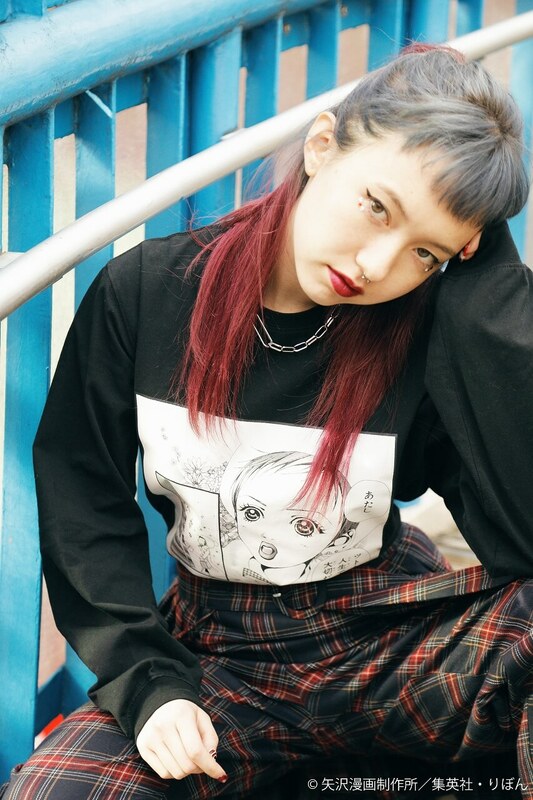 Japanese fashion brand jouetie is set to release a line of items in collaboration with Ai Yazawa’s manga series Neighborhood Story on February 1, 2019. Yazawa is known for having created a long list of famous manga series including Nana, Tenshi Nanka Ja Nai and Paradise Kiss. Neighborhood Story is like the bible to jouetie’s creative directors AMIAYA who became interested in fashion because of the series. The manga’s protagonist Mikako Kouda is known for undauntedly dyeing her hair pink. The creative minds at jouetie have brought out the character’s eye-catching pink, green and blue contrasts to create this pullover, finished with the title logo on the back. Its oversized hang makes it a great option for layering with one pieces, fishnet tights and other ‘grunge’ style looks. 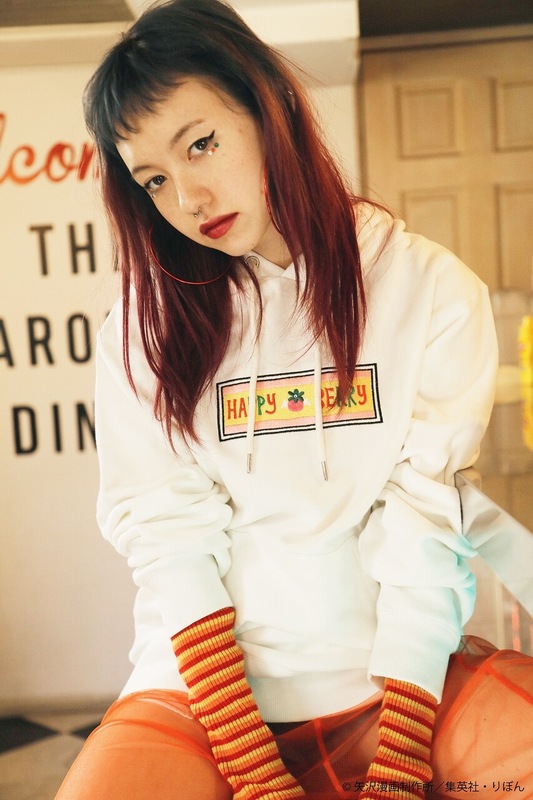 This colourful hoodie is inspired by Mikako’s HAPPY BERRY brand in the series. The front features its embroidered logo while the back includes vivid pop art prints of Mikako. It goes perfectly with street-style wear such as Dr. Martens and sneakers and when layered with see-through items from the top downwards to give it that mix of sweet and spice. Both the and back of this long t-shirt feature cute scenes of Mikako and Tsutomu taken from the manga series. It also features a subtle embroidery of the HAPPY BERRY mark. This t-shirt goes well with a more masculine style layered with items like a turtleneck or on its own for a girly look. Pick your favourite item and create your own unbelievably cute and daring outfit. “Token Ranbu -Hanamaru- in KIDDY LAND Sononi” will be held at 5 Kiddy Land stores throughout Japan. 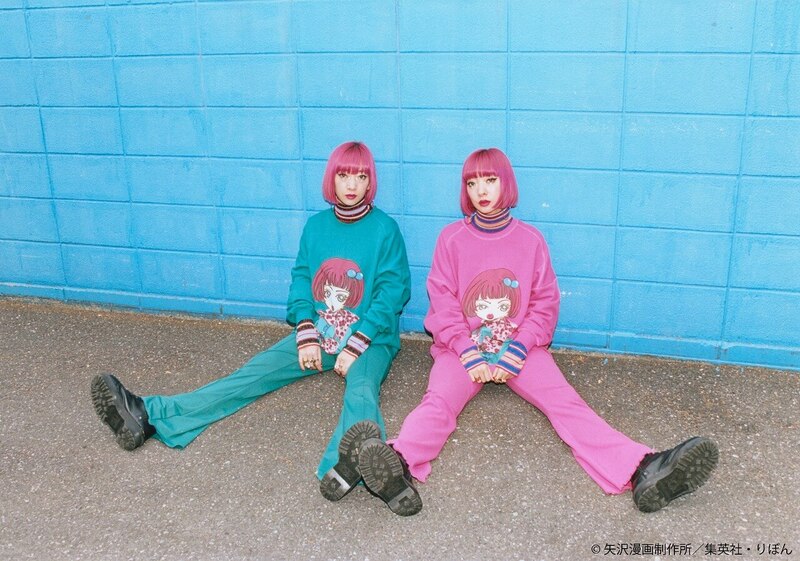 Harajuku’s famous punk shop, “A store Robot” and “jouetie” release 5 collaborative goods including T-shirt.